15 scenarios from important engagement of ancient history. Over 50 unique combat and command cards to simulate tactical and strategic choices. Make strategic choices faithful to the era with chariots, archers, foot soldiers and mounted units. 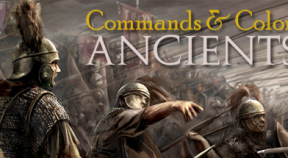 Play as Syracusan, Carthaginian or Roman. Three levels of AI difficulty.